FEC Surge Suppressors & Accumulators are designed to dampen the pressure surges caused by rapid opening and closing of flow control valves in any liquid handling system. This reduces the possibility of costly damage to the pipe lines, leakages, loosened pipe fittings and downtime. Positive Displacement (PD) pumps create pulsation and hydraulic shock due to the reciprocating nature of their stroking action, potentially damaging the entire pumping system. 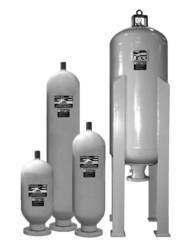 Pulsation Dampeners remove hydraulic shock and reduce the pressure and flow fluctuations. 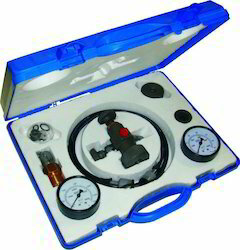 This enhances the all-around performance and reliability of fluid handling equipment in industrial, chemical transfer, and precision metering applications. 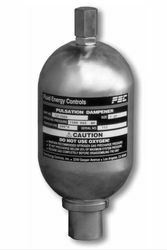 FEC Surge Suppressors are designed to dampen the pressure surges caused by rapid opening and closing of flow control valves in any liquid handling system. This reduces the possibility of costly damage to the pipe lines, leakages, loosened pipe fittings and downtime. Creates steady and continuous flow when dosing, blending or proportioning additives. Ensures accuracy, longevity, and repeatability of in-line meters. Enables uniform application of material in spraying and coating systems. Reduces agitation, foaming, splashing and degradation of product. Operates as a reservoir for make-up fluid.